Master Box Dimension : 22" X 13" X 15"
Electric Toy Hot Dog Grill Kitchen Appliance Play Set. 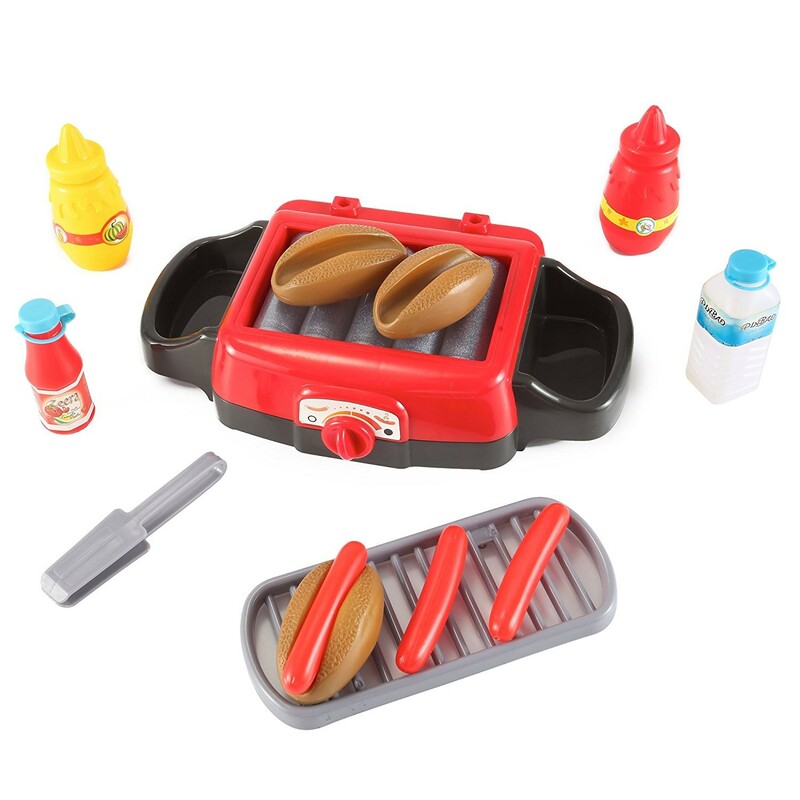 Kids can pretend play with this realistic hot dog grill and cook up a fun meal. With the included play food items, kids could learn how to pretend prepare everyone's favorite fast food: hot dogs! Roller Grill lights up and has realistic "frying" sizzling sounds. Perfect gift for the Little Chef! Requires 3 "AA" size batteries (not included). Ages 3 and Up. Rollers can Spin and has Realistic Frying Sounds!